Green-Light Your Book is a straight-shooting guide to a changing industry. Written for aspiring authors, previously published authors, and independent publishers, it explains the ever-shifting publishing landscape and helps indie authors understand that they're up against the status quo, and how to work within the system but also how to subvert the system in order to succeed. Publishing expert and independent publisher Brooke Warner is fearless in her critique of an industry that's lost its mandate, and in so doing has opened the door wide for indie publishers to thrive. While she does not shy away from calling out the bias against indie authors, she also asserts that it's never been a more exciting time to be in book publishing--and her passion and enthusiasm are contagious. "If you're going to green-light your work, you have to wow," Warner writes. But to surpass expectations, you also need to be a student of publishing and to be able to hold your own with book buyers, event coordinators, librarians, wholesalers, distributors, and reviewers. 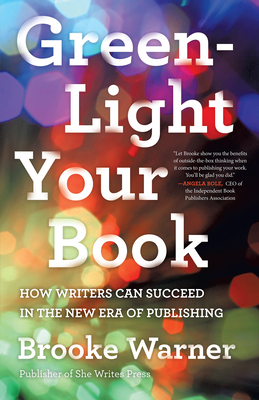 Green-Light Your Book seeks to equip authors and publishers with the language, knowledge, and skill sets they need to play big.